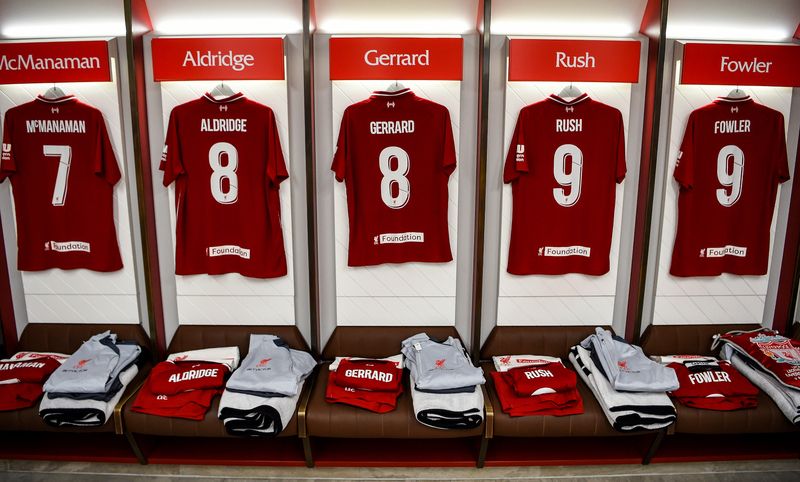 Follow all of the action as Liverpool FC Legends face Milan Glorie in the annual LFC Foundation charity match at Anfield, featuring a host of greats on both sides. 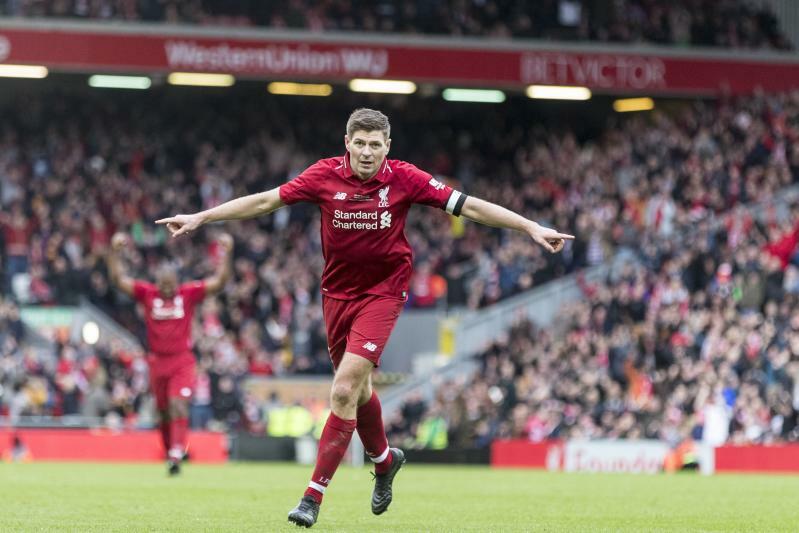 Steven Gerrard wins it in stoppage-time for Liverpool Legends after AC Milan Glorie come from two down to level the scoreline at 2-2. 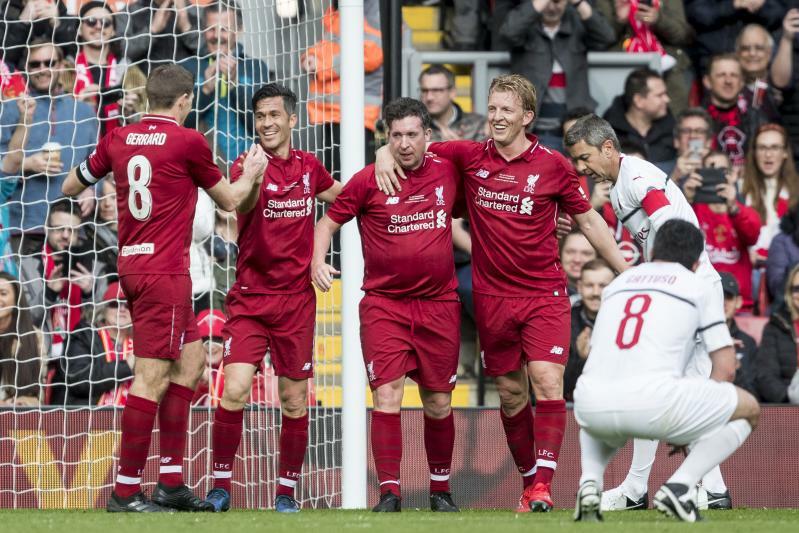 Robbie Fowler and Djibril Cisse had put the Reds into a commanding lead at a sold-out Anfield; however, Andrea Pirlo's free-kick and a stunning finish from Giuseppe Pancaro restored parity. However, like so often before, Gerrard took matters into his own hands and netted at the Kop end with one of the game's final acts. That's what everyone has been waiting for. Steven Gerrard restores Liverpool's lead at the Kop end with a lovely finish from the edge of the area. AC Milan Glorie are level as Pancaro finds the top corner with a quite sublime finish from distance that loops over the head of Westerveld. 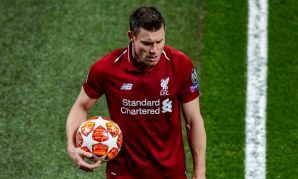 Liverpool break forward, Cisse crosses from the right, Gerrard heads it into the six-yard box and Smicer just can't quite make the connection needed to turn it over the line. John Aldridge is on for Michael Owen. Trademark blast from the left foot of Berger is an inch away from making it 3-1. Gerrard surges into the area and strikes low, but he's foiled by the boot of Abbiati. Diao blasts one into the Kop from distance. Heavy challenge on Gerrard by Costacurta. The thud echoed around Anfield. Ouch! Vladimir Smicer comes on for Glen Johnson. Boriello intercepts Westerveld's poor pass and tries to send it back over the head of the stranded goalkeeper, but he redeems himself with a save. 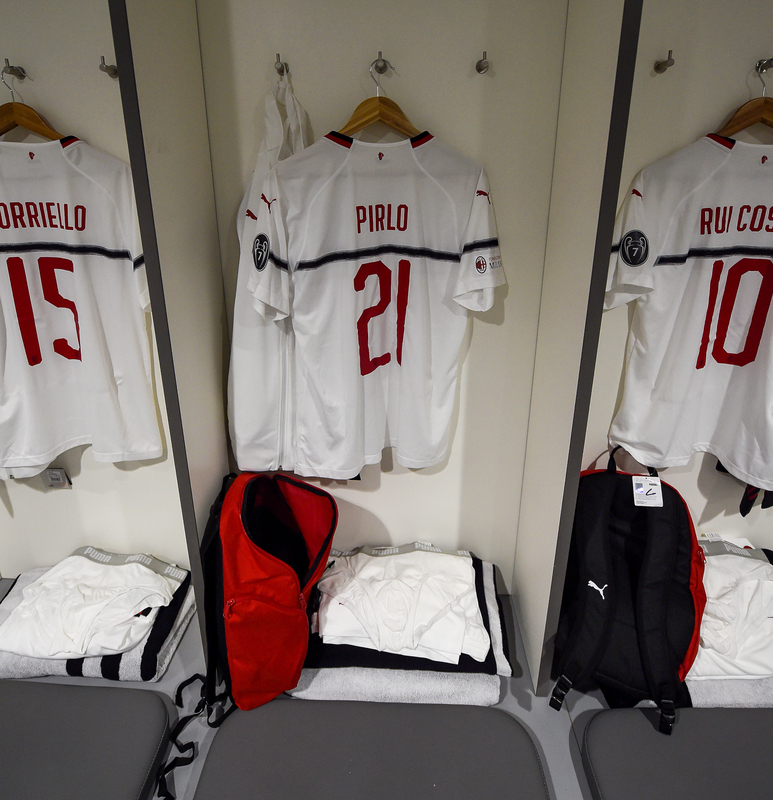 You can't give Pirlo a chance like that from a free-kick 20 yards out. He makes no mistake as he bends it beyond Westerveld. Clinical from Cisse, who slots low beyond Abbiati after being released by Berger's through ball. 2-0 to the Reds now. Gerrard attempts to chip a free-kick over the opposition wall and into the top corner, but Milan head it away. Cafu proves a nusiance once more down the right as he scampers into the area, but the move comes to nothing ultimately as Inzaghi scoops one high over the bar. Cisse speeds down the right and drills a cross into the middle, but it's straight into the grasp of Abbiati. AC Milan Glorie re-start the game. Westerveld, McAteer, Carragher, Agger, Johnson, Diao, Berger, Gerrard, Cisse, Owen, McManaman. 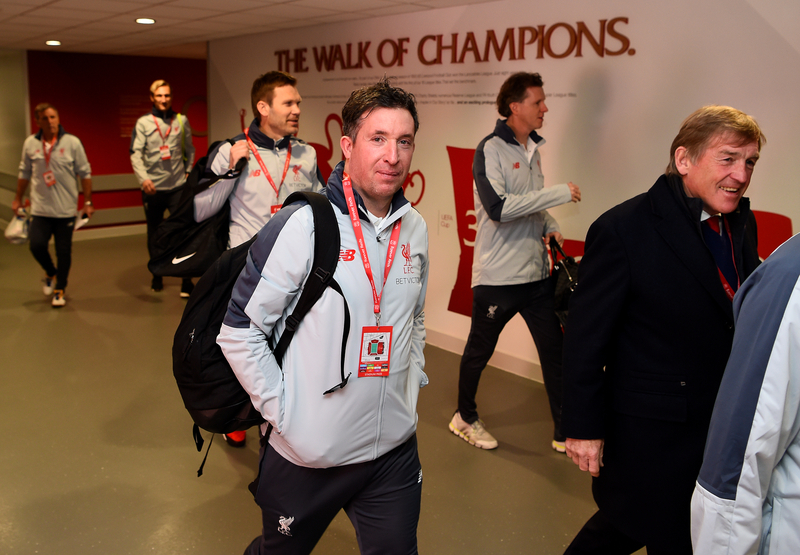 Robbie Fowler's neat 25th-minute finish is the difference between the teams at the halfway point at Anfield. Kaka slides a low effort towards the bottom corner from by the penalty spot. Dudek flings himself to his left and pushes it around the post. Garcia releases Kuyt into space, who scoops an effort over the crossbar. Garcia dances beyond Cafu and shoots. He's thwarted by a fine save from Dida. Seconds later, the little Spaniard guides a header wide of the post. 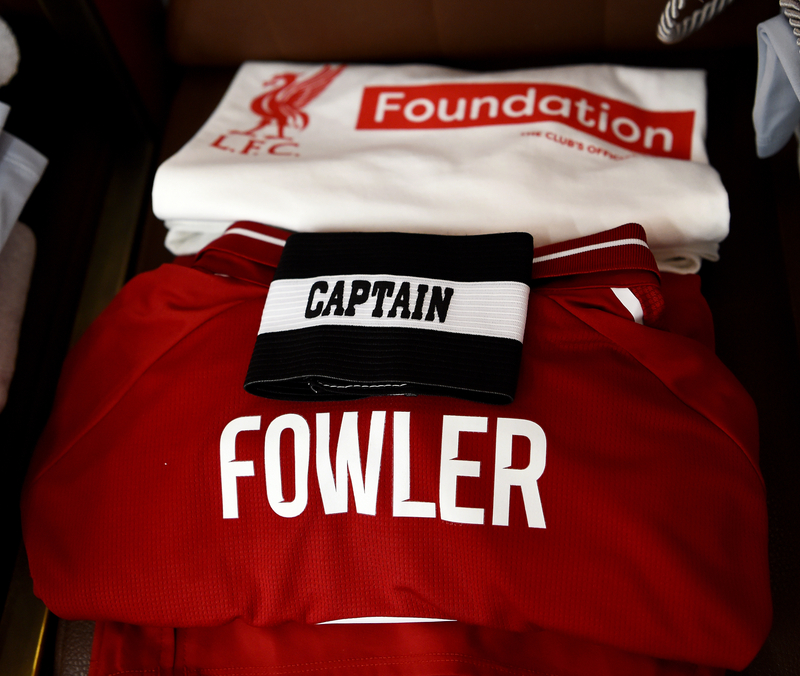 What a lovely, lovely finish from Fowler to put Liverpool in front as he deftly guides Johnson's cross beyond Dida. Those predatory striking instincts as sharp as ever. Rui Costa pings one like an arrow just over Dudek's crossbar. 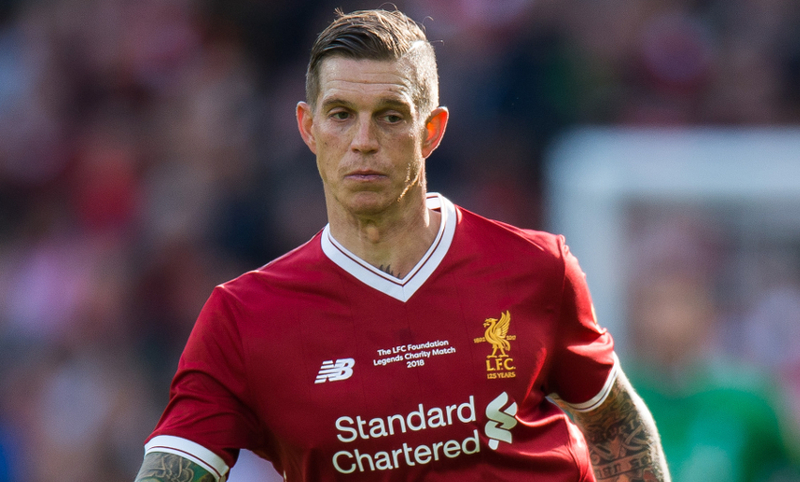 Agger produces a fine block to thwart Gattuso's shot inside the box. He's famous for being five-foot-seven - and if Luis Garcia was an inch or two taller, Liverpool would surely be in front here. Gerrard leads a counter-attack through the middle before playing it wide to Kuyt, who whips a delicious cross into the centre. Garcia arrives unmarked and looks destined to score, but he just can't reach it. Pirlo cannons a 30-yard free-kick into a Liverpool wall. Not one for his YouTube collection. Traore wastes no time in introducing himself to the contest as he produces a leggy challenge on Cafu to halt the Brazilian's raid down the right. 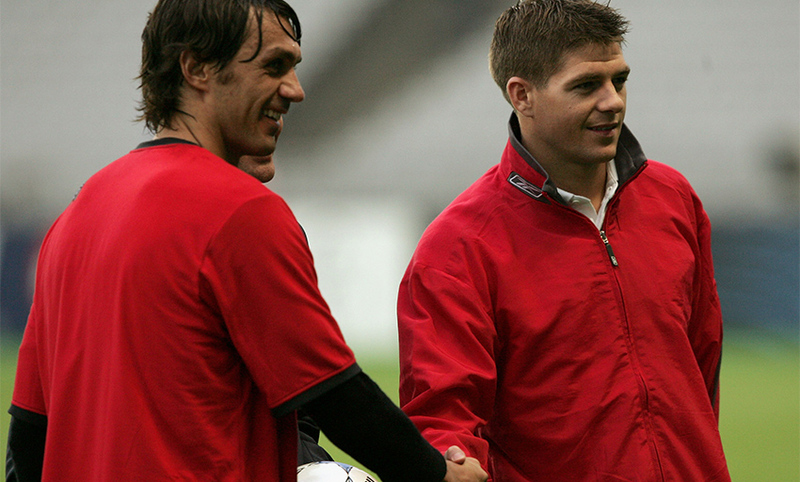 An early change for Liverpool Legends here. Alan Kennedy makes way for Djimi Traore. Luis Garcia registers the game's first shot, but it deflects into the arms of Dida. Agger almost gives the ball away inside his own area, but manages to recover. Here we go, then. 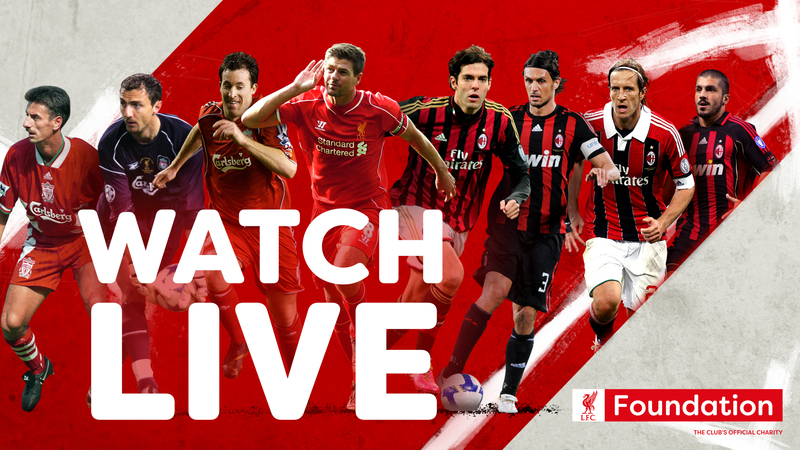 Liverpool Legends v AC Milan Glorie is under way at Anfield. 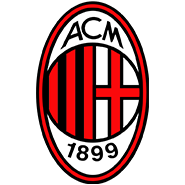 AC Milan Glorie: Dida, Ambrosini, Cafu, Costacurta, Gattuso, Inzaghi, Kaka, Kaladze, Pirlo, Rui Costa, Serginho. 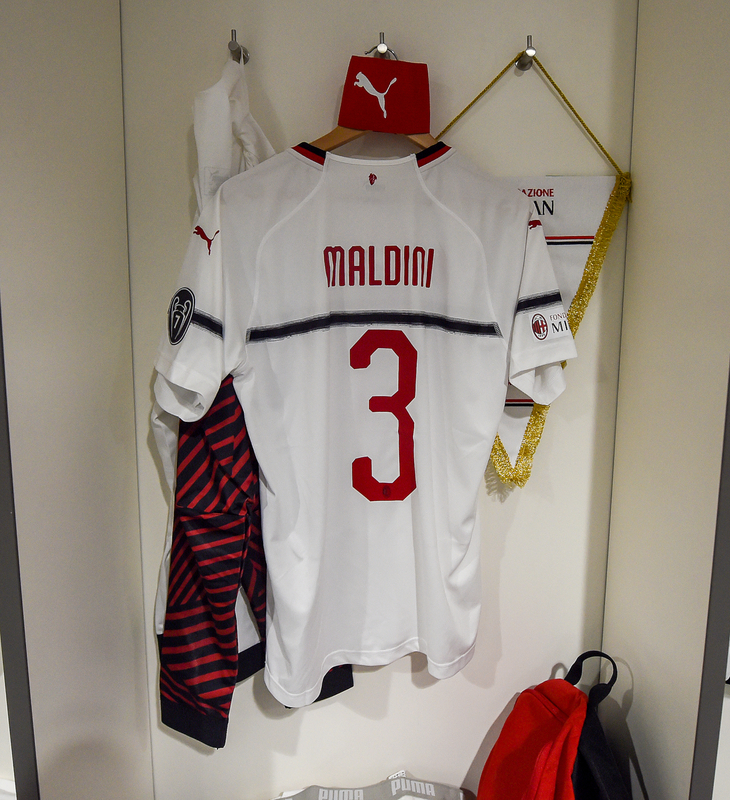 Subs: Abbiati, Boriello, Carbone, Favalli, Fiori, Digao, Maldini, Oddo, Pancaro, Simic. 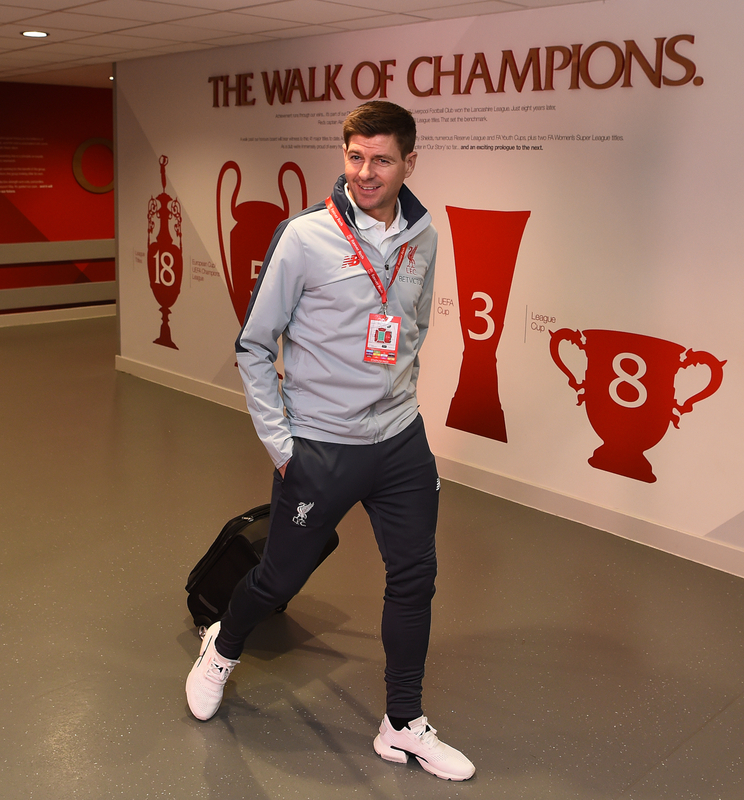 The teamsheet is in and Liverpool Legends have named their starting line-up and substitutes for today's clash with Milan Glorie. 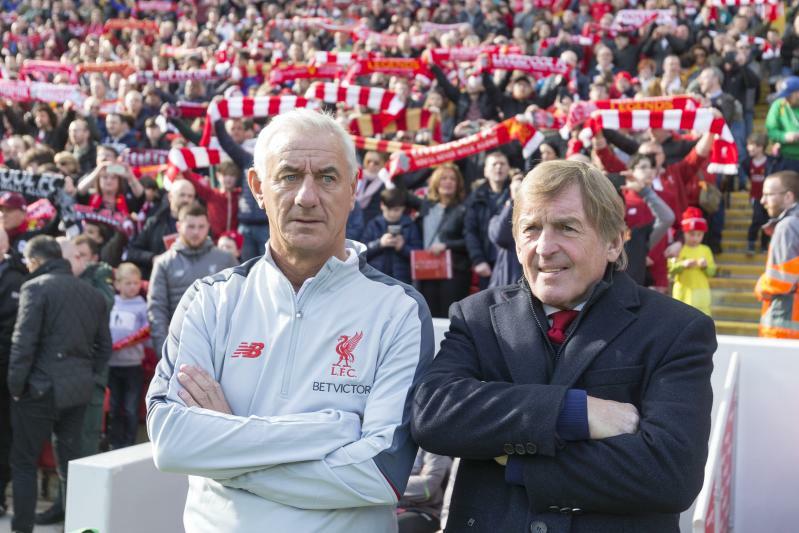 Ian Rush is ruled out due to injury, so takes the reins as assistant manager to Sir Kenny Dalglish. 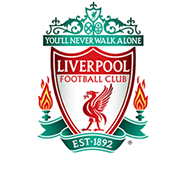 Liverpool FC Legends: Dudek, Johnson, Carragher, Hyypia, Agger, Kennedy, Kvarme, Gerrard, Garcia, Kuyt, Fowler. 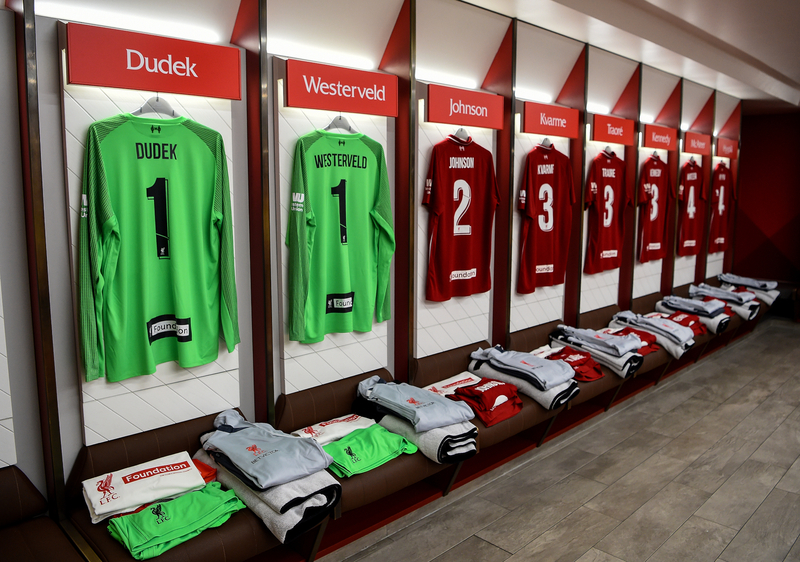 Subs: Westerveld, McManaman, McAteer, Aldridge, Traore, Berger, Cisse, Diao, Smicer, Owen. 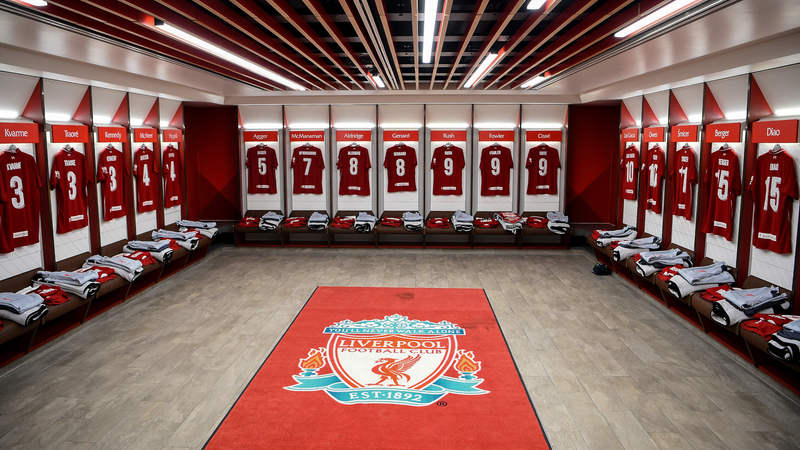 A peek inside the Anfield dressing room. What a line-up! The first-team boss, Jürgen Klopp, is an LFC Foundation ambassador and he has penned a special message in the match programme. 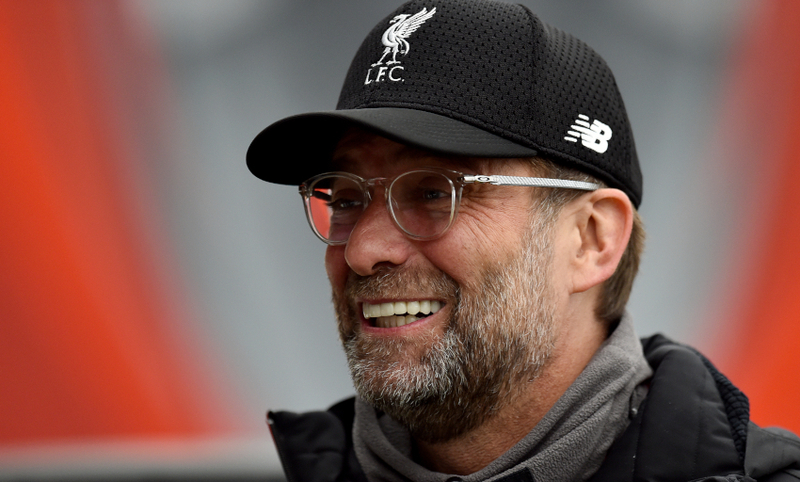 "Today will be another great occasion and an opportunity for our fans to welcome back some of their heroes and see them in action once again," says Klopp. "The legs are not as quick as they once were, but these guys were all great footballers and I'm sure they will provide plenty of entertainment. 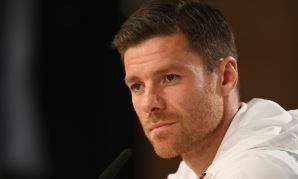 "I'm sure they cannot wait to get back out there on the football field and pull on the famous colours of Liverpool and AC Milan again. "I hope you all have a very special day." 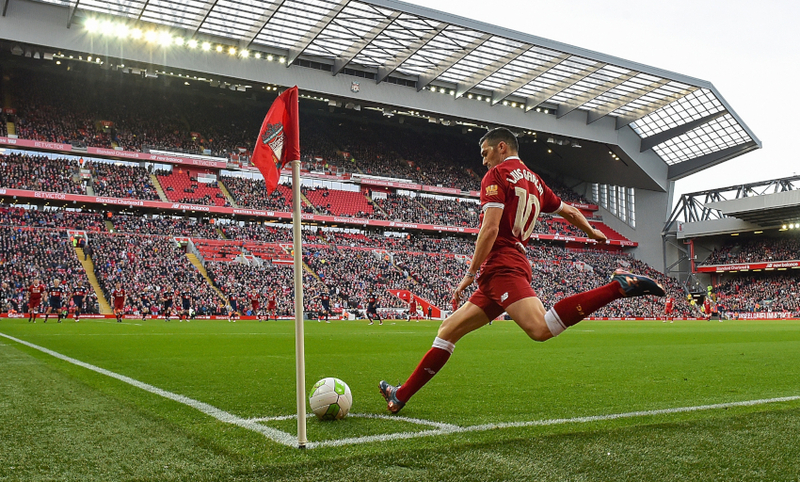 You'd be brave to bet against Luis Garcia finding the net this afternoon and the popular Spaniard is determined to do so in front of the Kop. "I would love to!" he told Liverpoolfc.com. "In the last couple of Legends games it has cost me a little bit to get closer to the goal, but I'll try, of course." 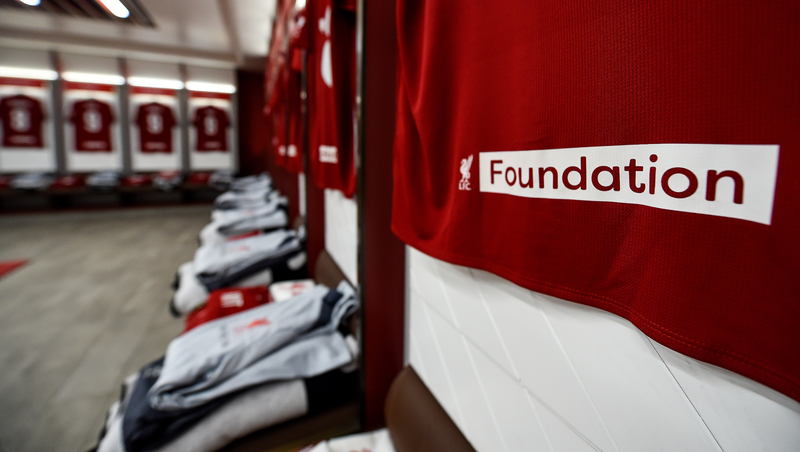 Today's match is, of course, most importantly about raising money for LFC Foundation and its mission to create life-changing opportunities for children and young people. 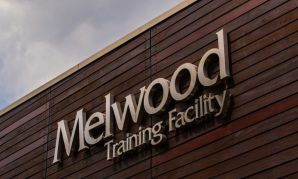 A Legends game deserves a legendary weather update; fortunately, we're well versed on such subjects here on Liverpoolfc.com. It's a clear morning around Anfield, though there is a chill in the air and the temperature experts report nine degrees currently. 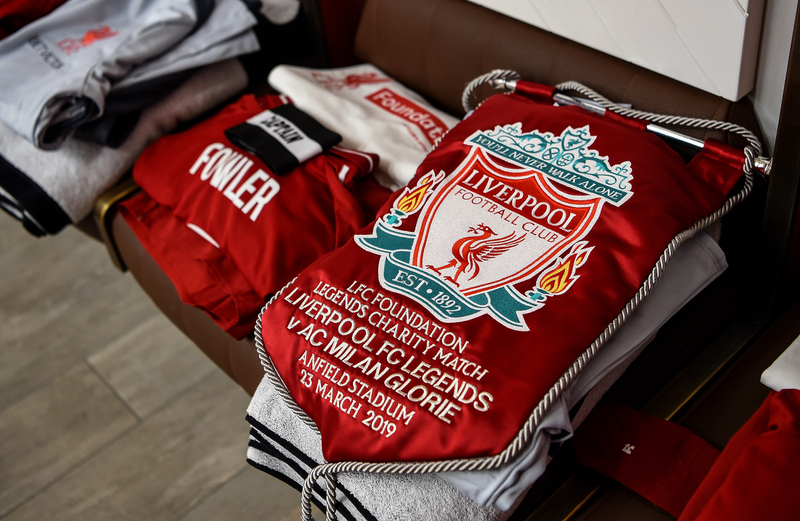 That will begin to drop around kick-off, so we feel it's coat-worthy if you're heading to Anfield. 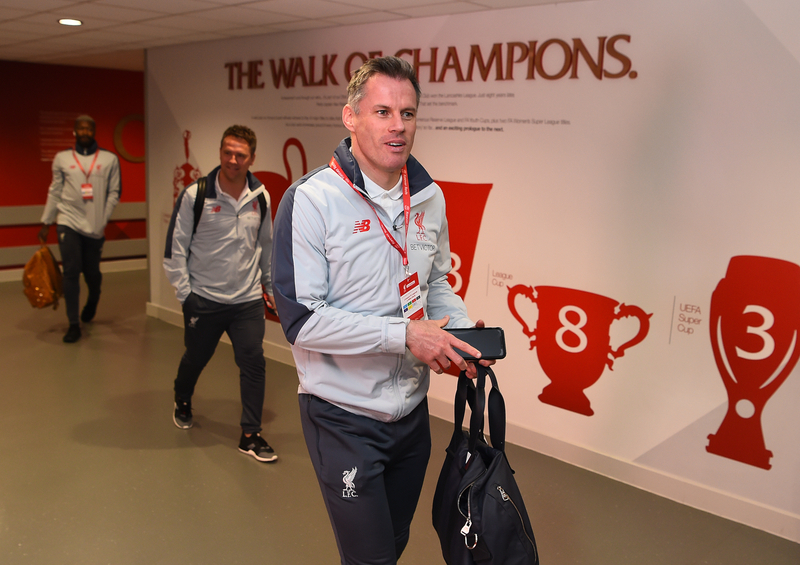 They'll be on the same side today but in pre-match training recently, Jamie Carragher and Jason McAteer did battle in our two-touch shooting challenge. 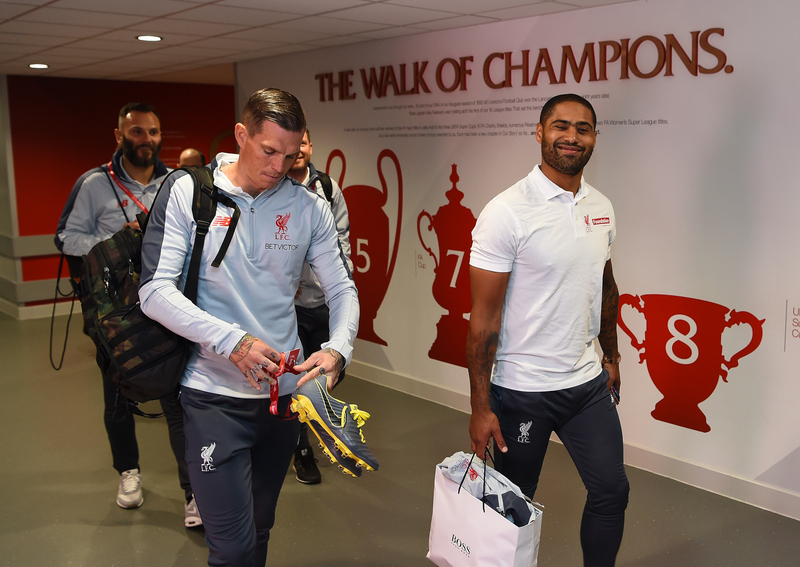 Daniel Agger will be granted a hearty welcome when he steps back onto the Anfield turf today and the Dane, who made 232 appearances for the club, is eagerly awaiting another chance to play at the stadium. 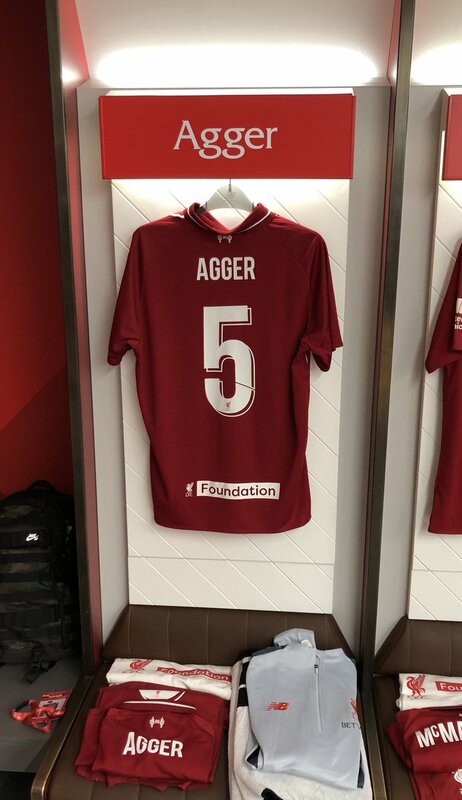 "There’s so many memories, good memories, and to play football in this stadium again is something that all of us enjoy," Agger told Liverpoolfc.com. "We come back to watch, but to be there ourselves is even better - even though we know we can't really perform the way we want to. But just to be there is enough. "I haven't played for a long time, my body is not that good but it's only one game and you give it everything you have." 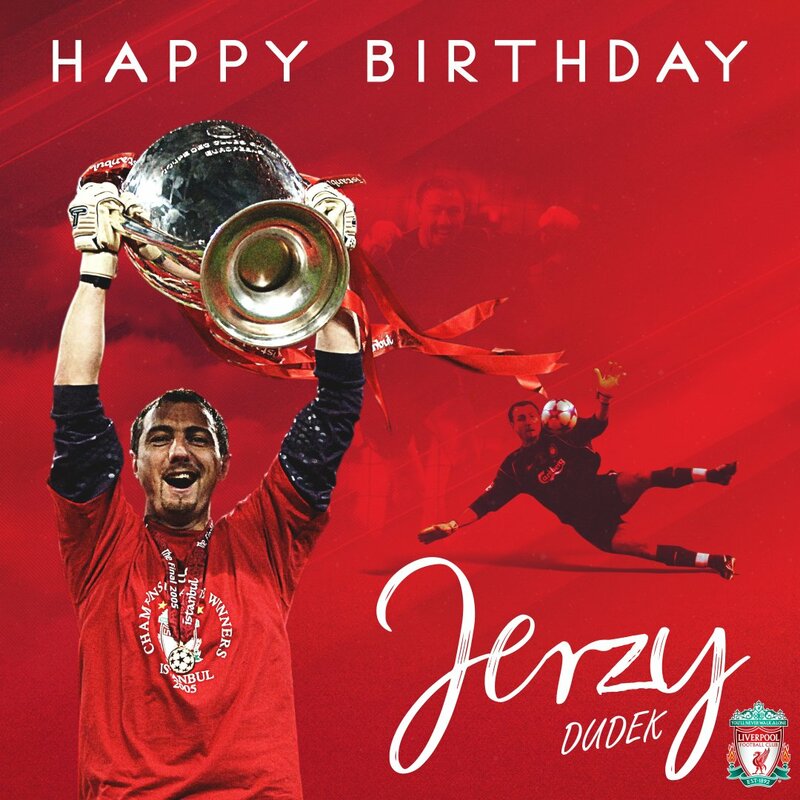 Dudek, Westerveld; Agger, Carragher, Hyypia, Johnson, Kennedy, Kvarme, McAteer, Traore; Berger, Diao, Garcia, Gerrard, McManaman, Smicer; Aldridge, Cisse, Fowler, Kuyt, Owen, Rush. 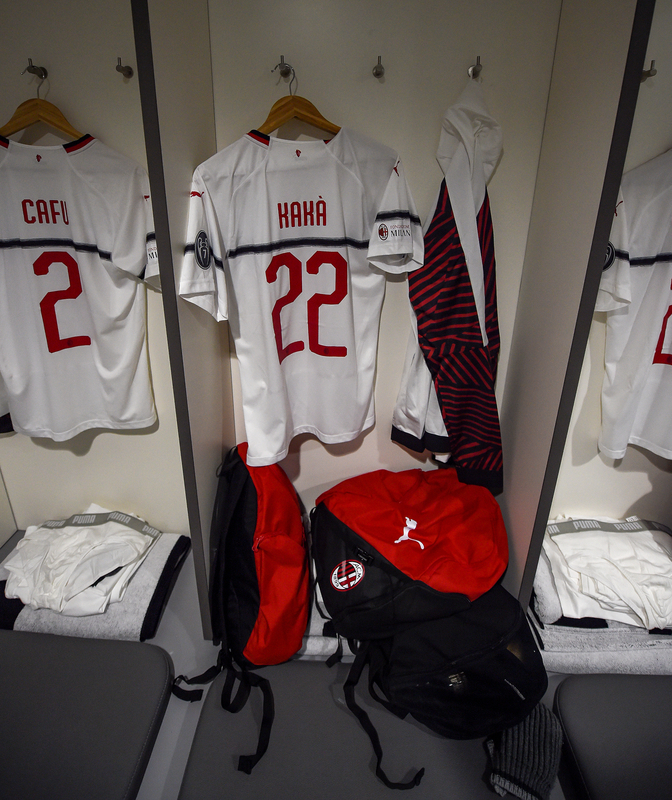 Abbiati, Dida, Fiori, Storari; Cafu, Costacurta, Favalli, Jankulovski, Kaladze, Maldini, Nesta, Oddo, Pancaro, Simic; Ambrosini, Carbone, Gattuso, Pirlo, Rui Costa, Serginho; Borriello, Inzaghi, Kaka. One thing we can feel fairly certain of is that there'll be goals at Anfield this afternoon. Let's start with the best news - you'll be able to watch every kick of today's game live and for free across official LFC channels - LFCTV, LFCTV GO, YouTube and Facebook. Click here for full details of how to enjoy our coverage from 1.30pm GMT. 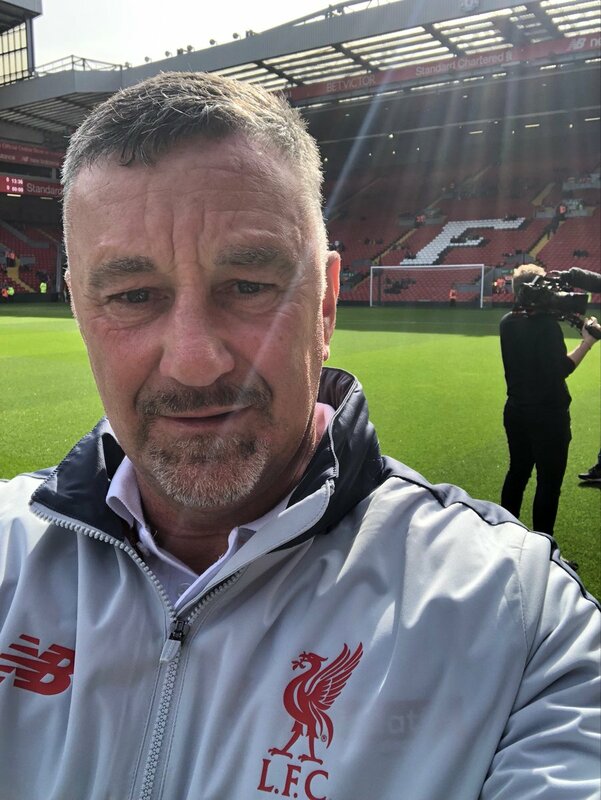 It's the annual Liverpool FC Legends charity fixture, in aid of LFC Foundation, with Milan Glorie the opponents in a rematch of the unforgettable 2005 Champions League final (and the 2007 one we won't talk about). 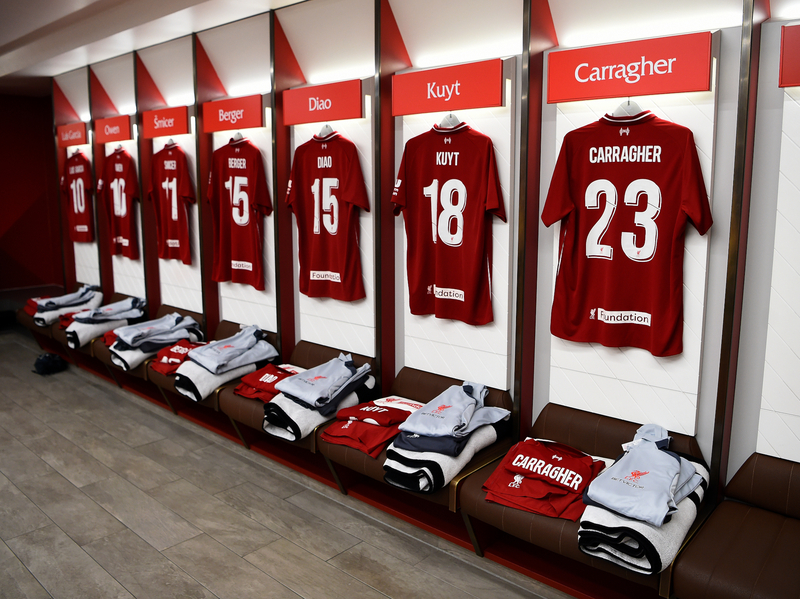 A host of greats are set to face off, including the likes of Cafu, Jamie Carragher, Steven Gerrard, Kaka, Dirk Kuyt, Paolo Maldini and Andrea Pirlo - and we'll be bringing you live coverage throughout a special day.